You are here:Home / Archive by category "Five Minutes On the Vine"
We’ve decided to start a new series around here, Five Minutes On the Vine. Once a month I will showcase an amazing winery, winemaker or wine innovator and ask them a series of questions. Our inaugural feature is Scott Stanchak and his incredible app Winery Passport. Named Food and Wine magazine’s Top Travel Wine App, Winery Passport is a “mobile wine concierge for discovering local wines and wineries…”, allowing you to write tasting notes, stamp your “passport” for every winery you visit and share those experiences online with your friends and fellow wine drinkers! What was the impetus for creating Winery Passport? My wife and I were at a wine tasting in New Jersey when it was time to stamp our paper passport books that the Garden State Growers Association provide. The problem was we had forgotten our passports at home. The winery owner offered us new ones, but then we’d have to carry two identical books since we already had stamps in our other ones. At the time, I had released a popular word game (LetterSlider) on the App Store and been looking for my next app idea. I thought, why not put the passport on your most personal device? 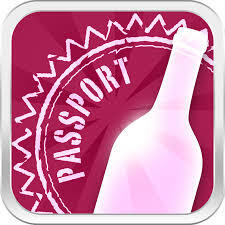 Winery Passport launched a few months later in August 2013. What was the process like, getting it from idea to actual app? The process took a tremendous amount of time and patience. My goal was, and still is, to build a product that is both valuable for users and wineries. Thankfully, having developed mobile apps before, I knew how to design the requirements and hire developers to make everything happen. 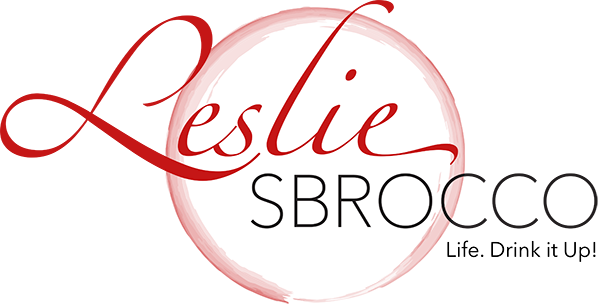 I also have a background in marketing and understand what it takes to build brand awareness and return-on-investment for wineries. The hardest part of building Winery Passport, however, was also the most critical: compiling the most complete and accurate list of wineries available. Initially, we did a lot of research to gather winery listing information across the U.S. and Canada. From there, we’ve continued to refine our database through user feedback, conversations with wineries and other ways. Today, I believe we have close to 100% of all wineries (as many as we know about) in those countries, as well as a tremendous amount of data related to each. Let us know if we’re missing any! How has your response been from wineries and users? I think the wine industry is still trying to make sense of mobile, and really digital marketing as whole. When we first launched, Winery Passport only offered increased exposure for wineries in front of our audience, sort of like appearing at the top of Google search. But we knew that was only one dimensional. Capturing customer information is a major problem for wineries: a poll puts it that about 25% ever leave an email address when visiting a tasting room. We have 100% though, which is why in April we released the ability for our recommended winery partners to directly message all users who have stamped at a specific winery or have it on a wish list. Then, in July, we unveiled leads. Now users can request to buy wine, book tastings or join a wine club directly from the app. These request forms pre-populate the user’s information automatically and are completely mobile optimized, making the process only a few seconds. Now we hit on all the major direct-to-consumer touch points for wineries: tastings, wine clubs, wine purchases. When wineries understand the value of these tools, they absolutely love them. There is definitely still an education process related to what is possible in mobile and why it’s worth embracing. With 60% of all digital time spent there, it shouldn’t be optional. As for our users, they’re absolutely the best. I get emails every day telling me that they were looking for an app like this. They’ve helped us build a better app by using it, spreading the word and sending me feedback. A message from the winery or ability to request a tasting isn’t just beneficial for the winery. Our users have a relationship at this point with the winery and hope to draw more value out of it. We’re helping make that connection and they love it. How do you think it enhances the overall wine-tasting experience? 1. User finds a winery near their location, on a map, by country/state/province or by name. 2. User requests tasting and sends their information to the winery. 3. User stamps their Winery Passport at the tasting, enters their wines tasted and rates the experience in their journal. 4. User shares stamp on Facebook and Twitter. 5. Winery messages user post-tasting with an offer to expand the relationship. 6. User visits winery’s Winery Passport listing and taps Buy Wine to purchase a case of the latest vintage release. What’s next for Winery Passport? Any changes you’d like to see made to the app to enhance the experience even more? I’m really excited about the progress that was made in 2015 and that has set the foundation for what should be an amazing year. The biggest thing on our roadmap is international expansion (I’ll touch on more in a bit.) I also would like to open up the ability to stamp at a winery more than once. That means also revising how the journal functions. This is an area I’ve given a lot of thought to and haven’t quite nailed down the perfect way to execute without detracting from the user experience. Any chance Winery Passport will make the leap across the pond? Winery Passport expansion is absolutely on our roadmap this year. Initially, we rolled out to 13 states. The goal was to refine the app before we made our way across the U.S. to California — the mecca of wine. The response was so great, we were in all 50 states and all Canadian provinces within two months. In the two-plus years we’ve been live, those have been the only two countries we’ve focused on. But you’ll start to see changes in the app soon preparing for expansion, including a new country structure when you click on Location. I’m definitely open to suggestions where to go next! What is your favorite wine you’re drinking now? I love a glass of Pinot Noir. I post a weekly bottle “Friday Wine of the Week” on my Twitter feed (@ScottStanchak). I feel bad for my followers because 80% of the time it’s been a new Pinot Noir. I just am such a fan right now. 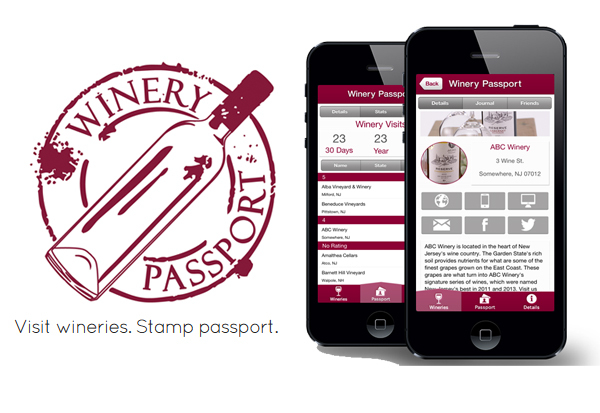 Download the Winery Passport for Apple or Android users and share with us where you’ve been stamping!